In 2016, Bob Dylan was named as the 113th recipient of the Nobel Prize in Literature. The official release stated that Dylan was awarded the Prize, "for having created new poetic expressions within the great American song tradition." This exhibit was mounted in the Connelly Library in February of 2017. The aim of the exhibit was to examine Bob Dylan as a literary figure- through both his words and those of his interpreters. We present this online version of this exhibit to show the variety and depth of sources available for the study of Bob Dylan. 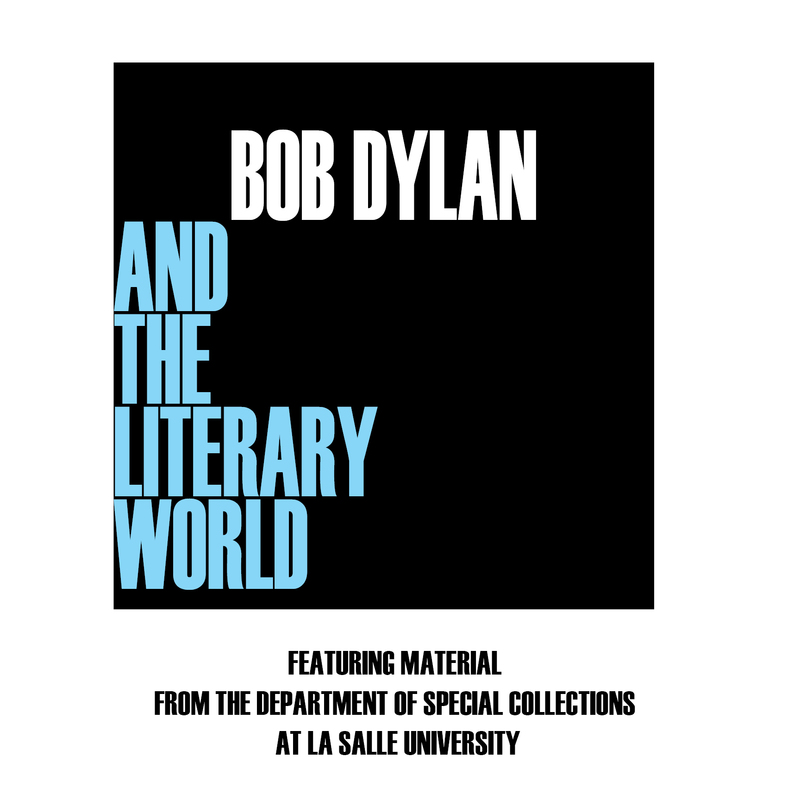 These materials were selected from the Life and Work of Bob Dylan Collection curated in the Department of Special Collections, on the second floor of the Connelly Library. The exhibit was curated by Sarah Seraphin, Special Collections Librarian with creative assistance from Gerard Regan, Interlibrary Loan/Reference Librarian (and Bob Dylan fan).